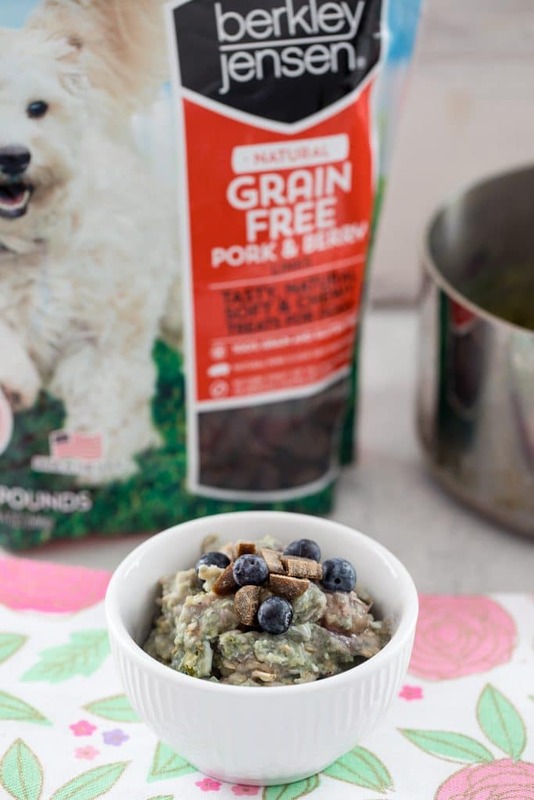 This Berry Egg Oatmeal for Dogs is a fiber and protein-packed breakfast made with love… Top with some treats for an extra special meal for your furry friend! Now that I’ve been working from home for a few months, I’m pretty sure my dog has developed an unhealthy attachment to me. OK who am I kidding, I’m pretty sure I’ve also developed an unhealthy attachment to her. Winnie is by my side all day, no matter if I’m in my office, the kitchen, or the family room and she gets a seriously sad look in my eyes if she knows I’m getting ready to go out. Not only do I love having so much time to cuddle her, but I’m also using it as an opportunity to get a little extra training in (if you’re new here, my pup has a whole lotta anxiety, which we’re trying to work through). That means lots of walks and playing, lots of treats, and a “time out” here and there. As you probably already know, I absolutely love cooking for Winnie and tend to spoil her with treats and toys (I’m not even going to show you her toy collection because you’ll probably think I’m crazy). 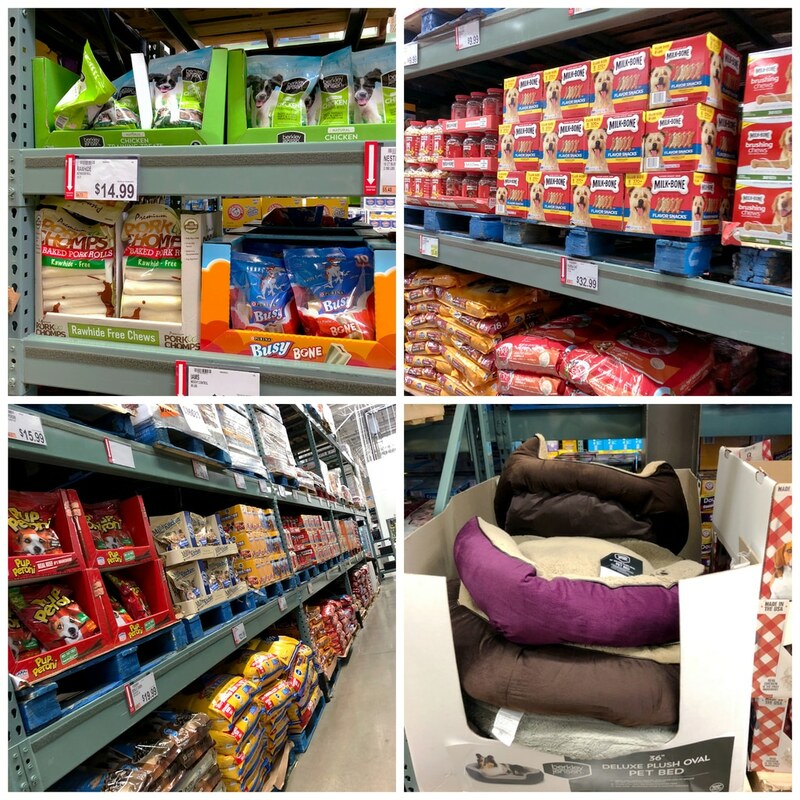 So, I’m thrilled to be working with BJ’s Wholesale Club today to tell you all about their awesome selection of pet products and to show you what I got for my pup! First of all, my family has been a member of BJ’s Wholesale Club for probably 25 years now. As a kid, I LOVED going to BJ’s and as an adult, I still take BJ’s trips every few months with my mom. She’ll call me and say, “need anything from BJ’s?” and the answer is always YES! I’ve bought Winnie a few toys and treats over the years, but this is the first time I really got serious about exploring the pet aisle. And oh my gosh, they have SO much. From food to treats to toys and beds, Winnie would have been like a kid in a candy store (er, a dog in a pet store?) if she had been with me. 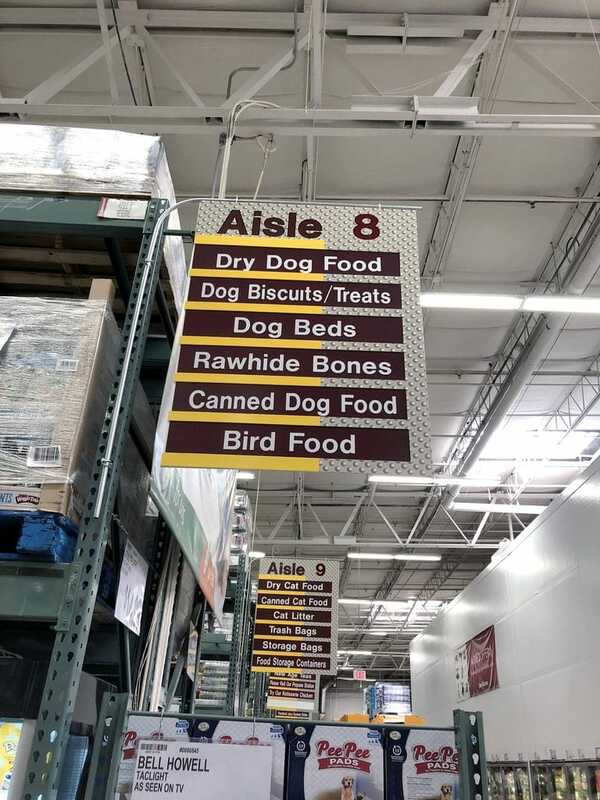 She’s pretty picky when it comes to treats, but I have a good idea of what she’s going to like, so I took my time to explore the aisle and pick out a few things. As you can see, they offer a large selection of leading national brands and specialty pet food brands, so they really have something for every pup. And their selection won’t break your budget! 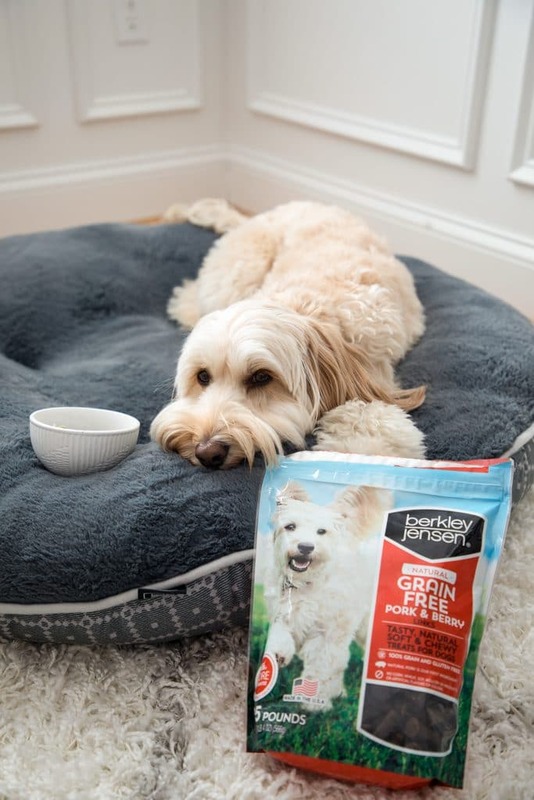 BJ’s also sells their exclusive Berkley Jensen line of high-quality pet products, which are an extra fabulous value and help get your pet the nutrition they need to live long, healthy and happy lives! Of course, I also bought a few things for myself. BJ’s is the kind of place you could spend hours in. 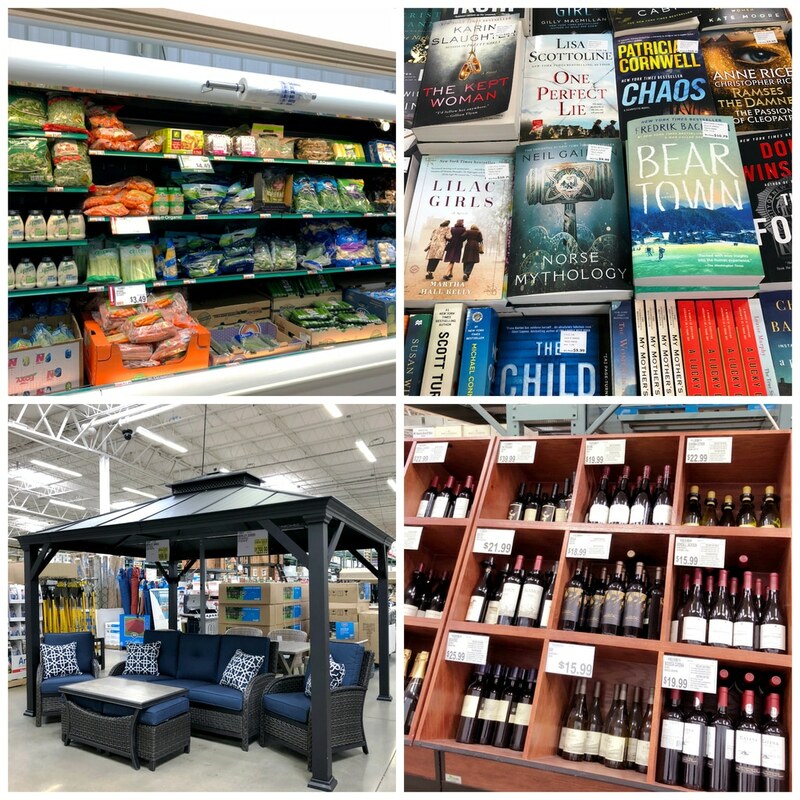 From books to clothes to patio furniture and WINE (!! 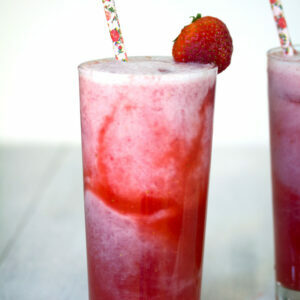 ), it’s very easy to lose track of time entirely as you browse through the aisles. My favorite thing is that you can get everything you need at BJ’s, so you won’t have to stop at the grocery store on the way home. 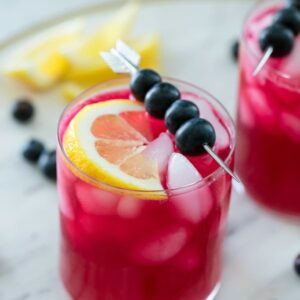 They have tons of fresh produce, a huge selection of meat (including organic), all kinds of milk, eggs, frozen foods (including wild salmon, tuna, and swordfish), and more. If you’re wondering whether joining BJ’s would be worth it for you, you should know that families can save up to $500 a year by shopping at BJ’s and members save 25% off grocery store prices every day. Not only is BJ’s committed to offering the best value of any supermarket or club, but they are the only membership warehouse club to accept manufacturer’s coupons. Plus, it’s such a fun experience to shop there! 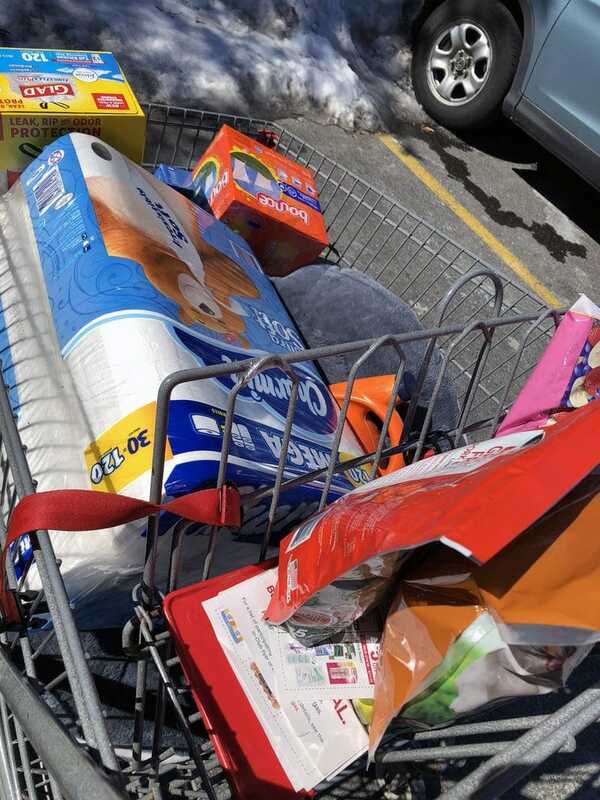 I always stock up on paper towels, toilet paper, laundry detergent, trash bags, toothpaste, and deodorant, too. 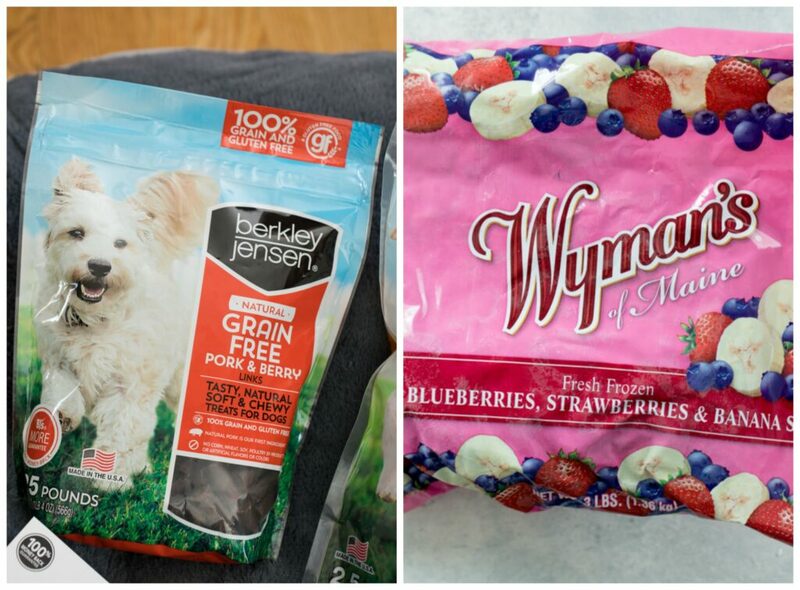 I love their bulk products; even though we’re just a family of two (and Winnie! ), I like buying products like this in bulk so we always have them on hand. When I got home with my most recent BJ’s haul, Winnie ran into the garage to see what I got her. 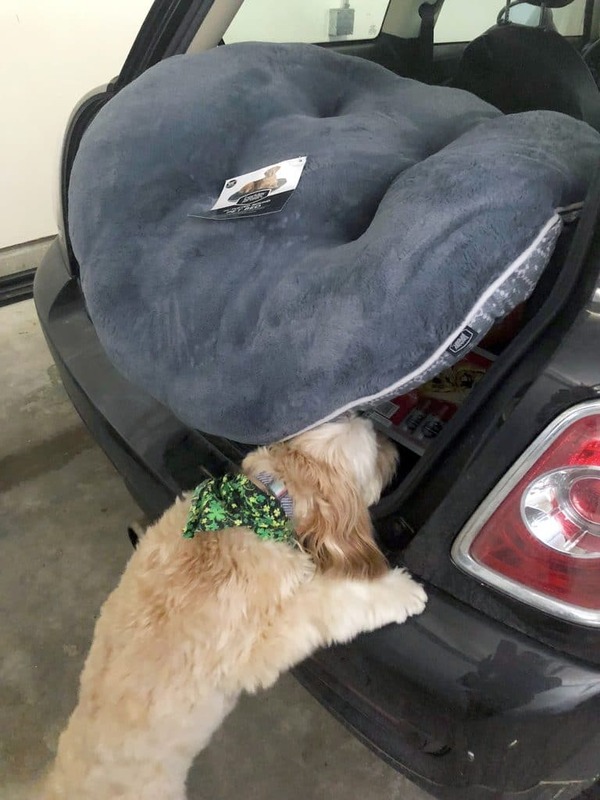 The first thing she saw was her brand new bed! I’ve been carrying Winnie’s current bed back and forth from the kitchen to my office, so I was excited to get her a nice new bed that could reside permanently in my office. 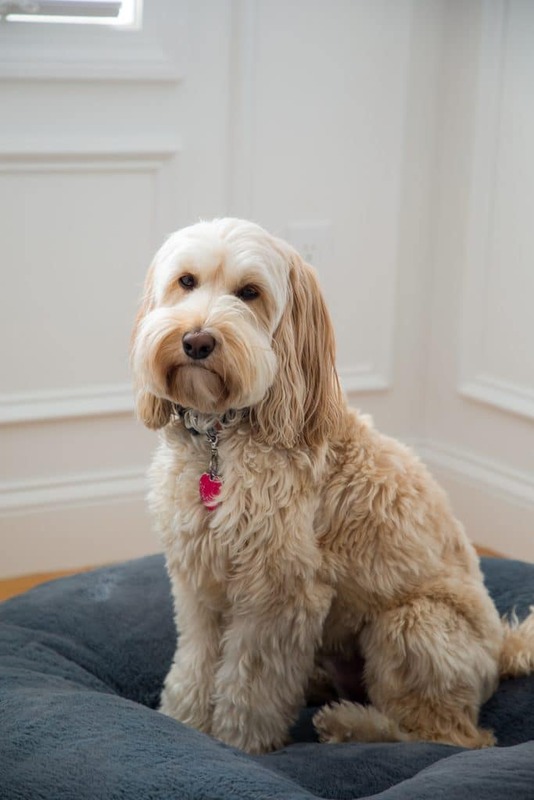 I got her the Berkley Jensen 38″ Tufted Round Pet Bed and it’s the softest, most comfy bed ever. I seriously want to cuddle up on it! Luckily, she feels the same way. And she’s happy to finally have her little spot next to my desk, so she can lay by me when she’s not crying to sit on my lap or begging for a bite of my breakfast or lunch. Click the above image to shop! Which is why I also bought her some treats and decided to cook her a little breakfast of her own. 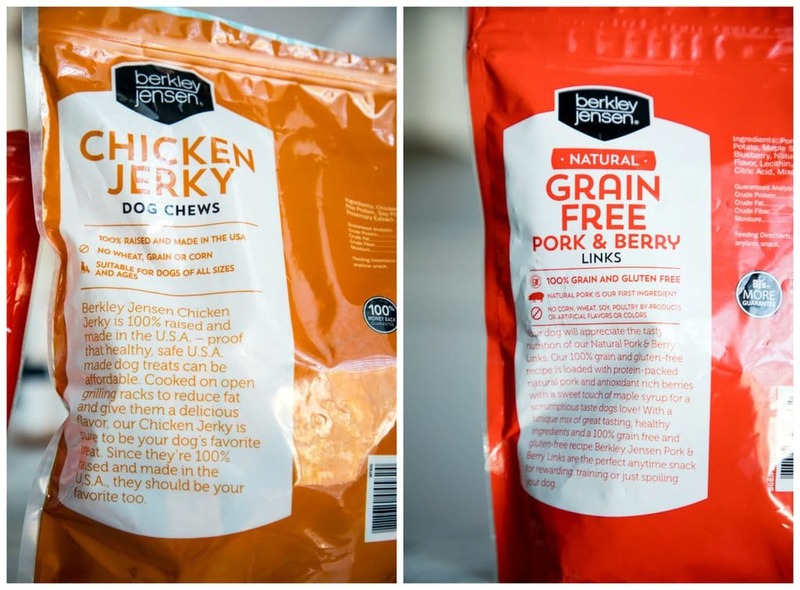 The treats I chose for her are the Berkley Jensen Pork and Berry Links and the Chicken Jerky Dog Chews. She is especially OBSESSED with the chicken dog chews and they definitely help her stay on her best behavior. I love that the packaging is so clear on what is (and isn’t!) 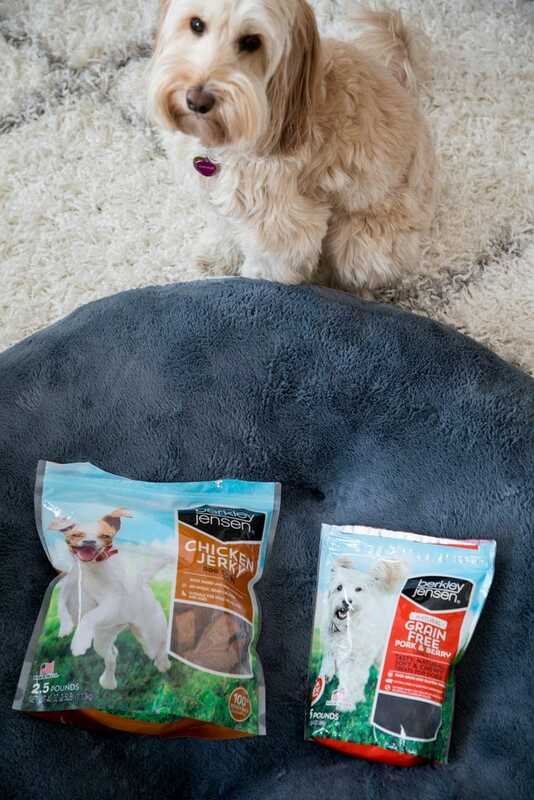 in the treats, so you can make sure you’re giving your pup the very best. 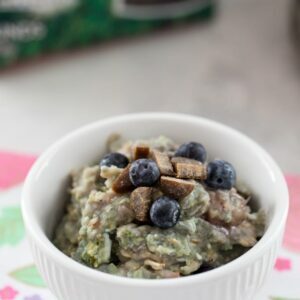 The Pork and Berry Links inspired me to create a special breakfast for Winnie, Berry Egg Oatmeal for Dogs. 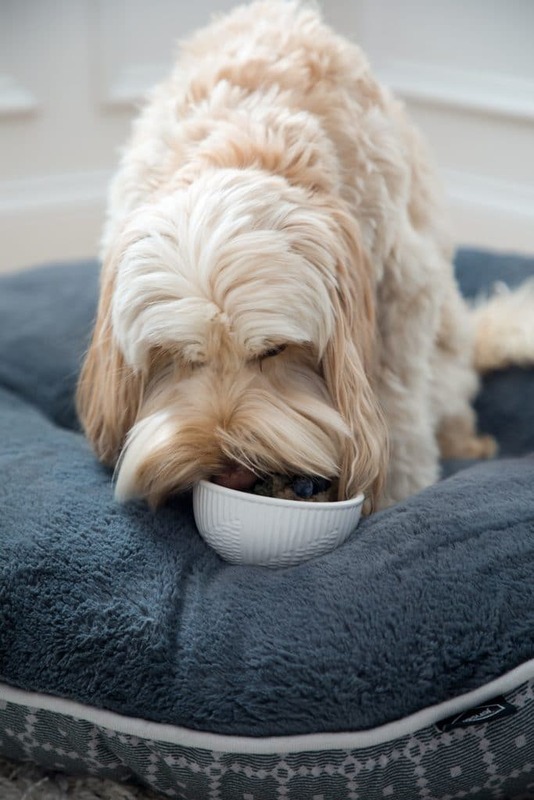 Oatmeal has been touted as being great for dogs because of the fiber and iron and Winnie is a fan. I bought a huge bag of frozen berries from BJ’s, along with old fashioned oats and eggs (they sell my favorite Eggland’s Best Eggs in packs of two dozen!). The recipe makes a small bowl of oatmeal that’s packed with protein from the egg and healthy grains from the oats. 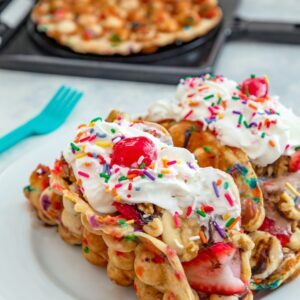 Berries add a little fun and obviously the treats are like the cherry on top! Even though it’s a small bowl, I still recommend splitting it into two servings, depending on the size of your dog. Also, be sure to talk to your vet if you have any questions about feeding your dog oatmeal, eggs, and fruit. Every dog is different! It takes less than 10 minutes to whip up this oatmeal for dogs and it’s super easy to make alongside your own breakfast… But honestly? This oatmeal is so delicious, that you should probably just make a bowl of it yourself! Er, maybe leave the treats out? Winnie settled in on her bed and gobbled up her oatmeal. I know, I shouldn’t encourage eating in bed… But she was so happy, I just went with it. And when she was finished eating, she just went right into mid-morning nap mode. Sweet life, huh? But that just means that I can sit at my desk and eat my breakfast in peace. With my buddy sleeping by my side in her bed. Have I mentioned I love working from home?? 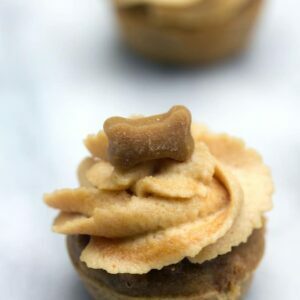 What’s your pet’s favorite treat? Have you checked out BJ’s Wholesale’s pet product selection? If you’re not a member of BJ’s yet, you can use my refer-a-friend link to join today and earn a $25 gift card! And let me know when you’re headed there to shop because I want to come! 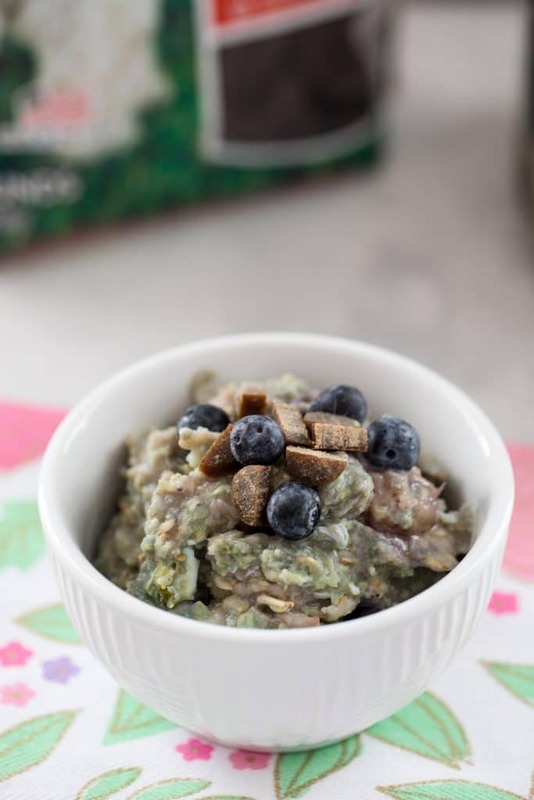 This Berry Egg Oatmeal for Dogs is a fiber and protein-packed breakfast made with love... Top with some treats for an extra special meal for your furry friend! In a small saucepan, heat oats and water over medium heat for about 3 minutes. Stir egg into the oats and cook for 2 minutes. Stir berries into the saucepan and cook for another 2 minutes. Put oatmeal in bowl and add chopped treats on top. Allow to cool before serving to your dog. All dogs are different, so be sure to check with your vet for any questions about what to feed your dog. 4 Responses to "Berry Egg Oatmeal for Dogs"
Just wanted to deeply express my thanks! I’m blind and greatly appreciate the immage descriptions. Thank you from the bottom of my heart. Love the easy recipe, too. Thank you very much. My dog has pancreas problem, wlill the eggs hurt him?